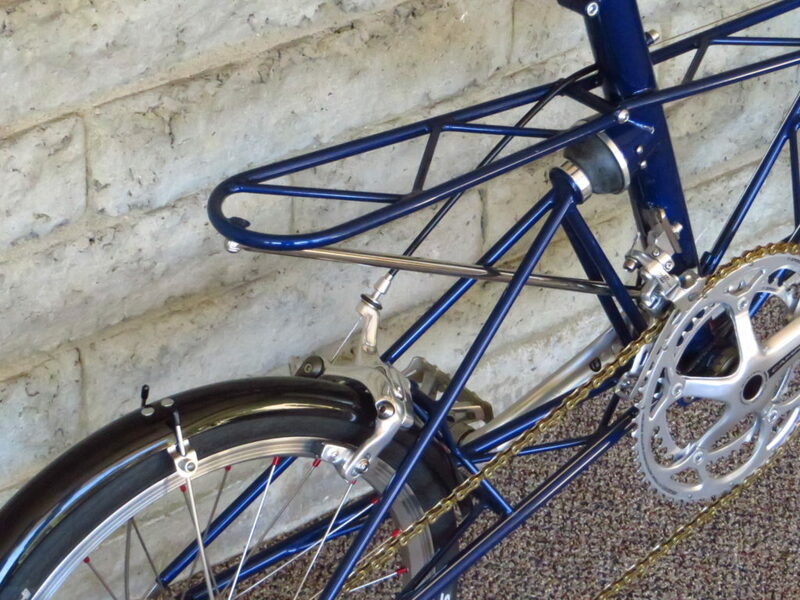 This bike was purchased new from our shop in 2012. 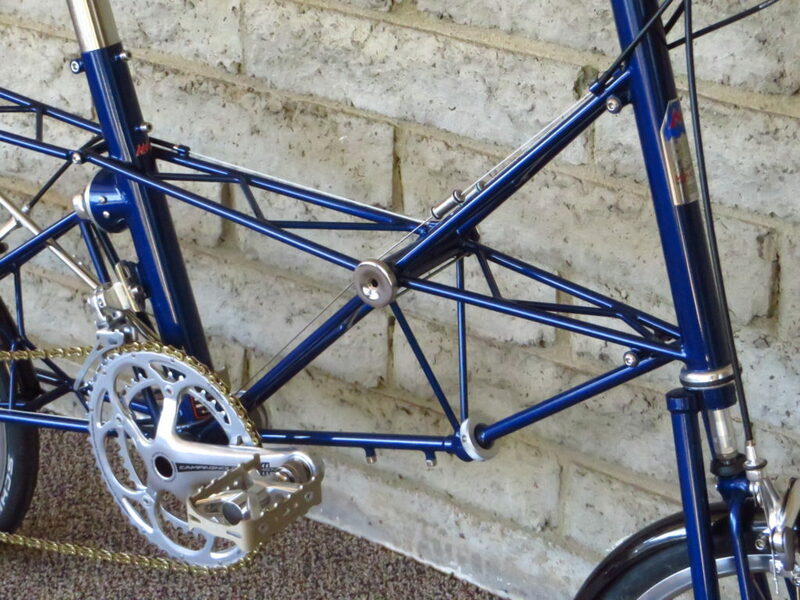 It is in absolutely pristine, show-room condition, both mechanically and cosmetically. 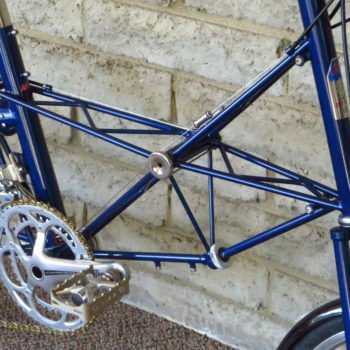 Has not been ridden over 50 miles. 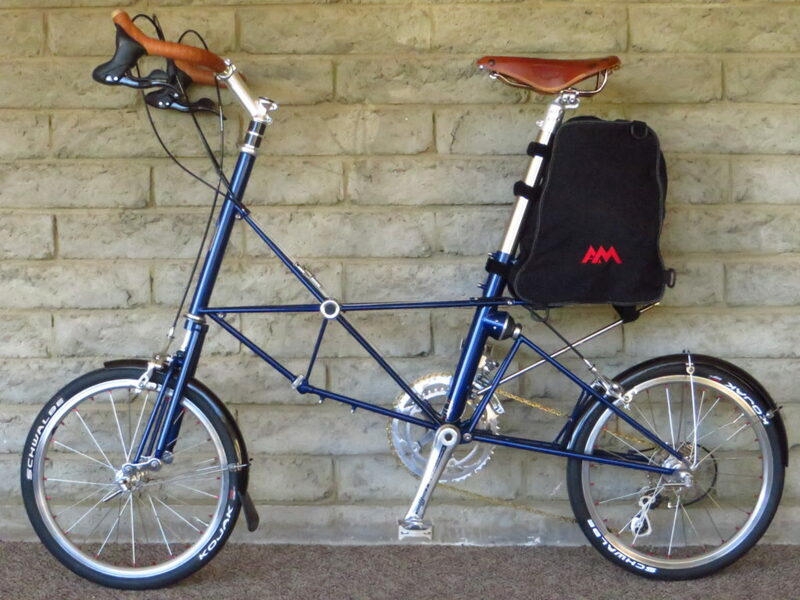 The latest version of the smooth riding AM bicycle, with cleaner lines, smaller pack size and reduced weight. 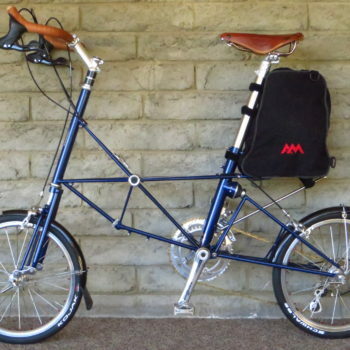 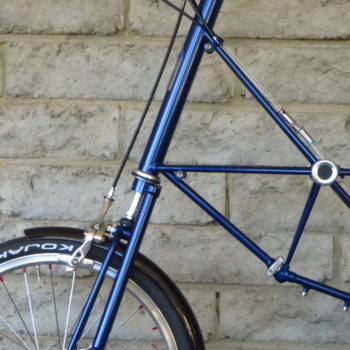 The NiCrMo Spaceframe features a shorter seat tube (and extended Moulton 953 seat pillar) and improved mounts for carriers and bottles. 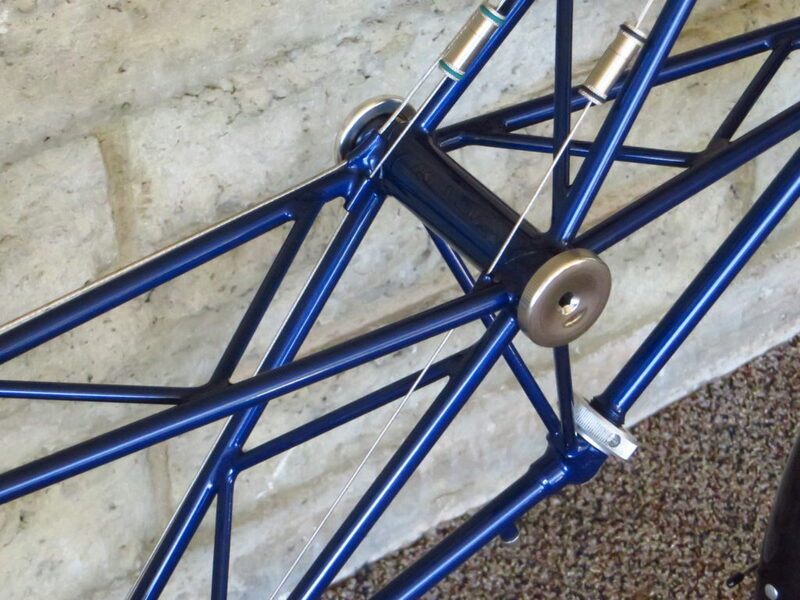 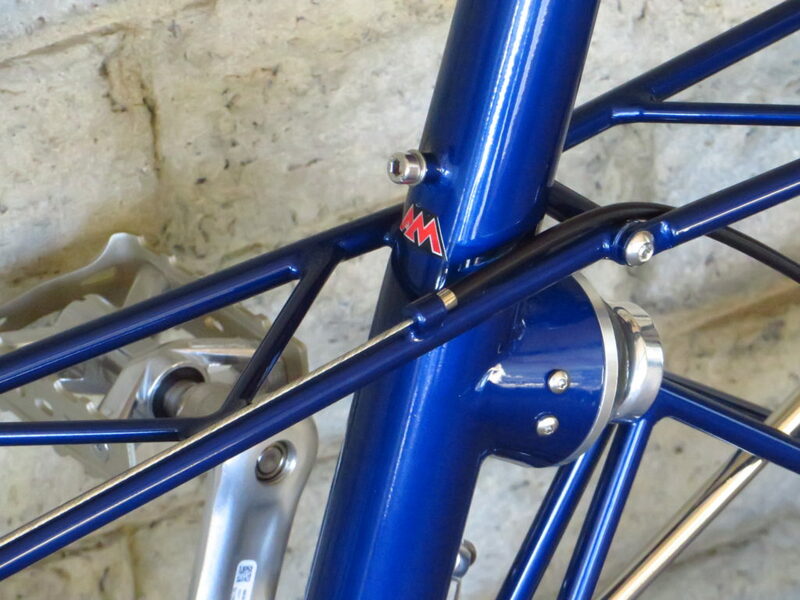 Frame: 16.5″ AM separable Spaceframe, ‘shot-in’ tube construction in NiCrMo. 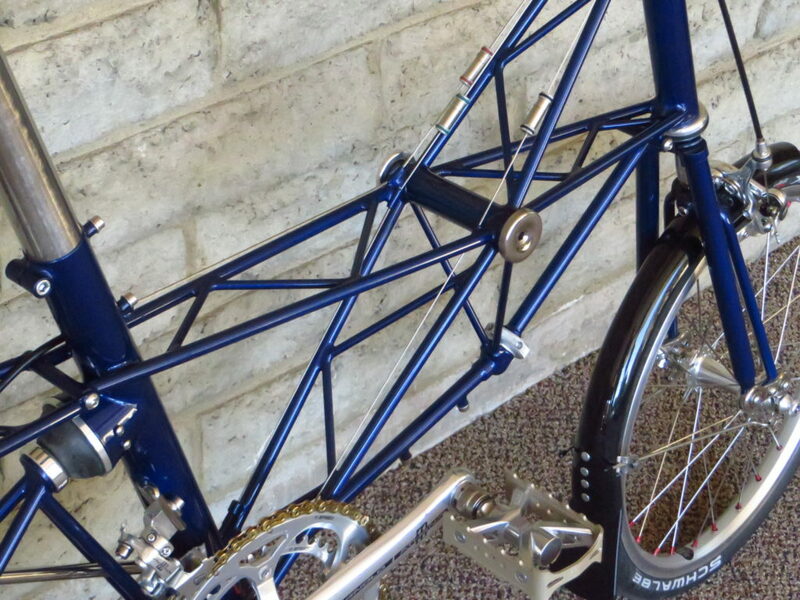 Hand-brazed. 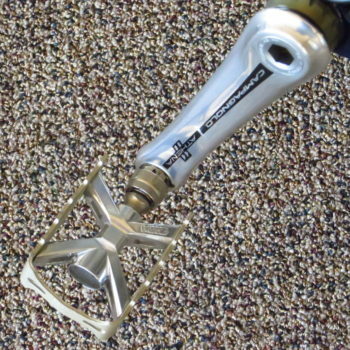 Fork: NiCrMo fork with cast (stainless) crown. 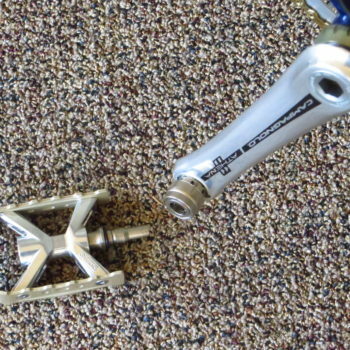 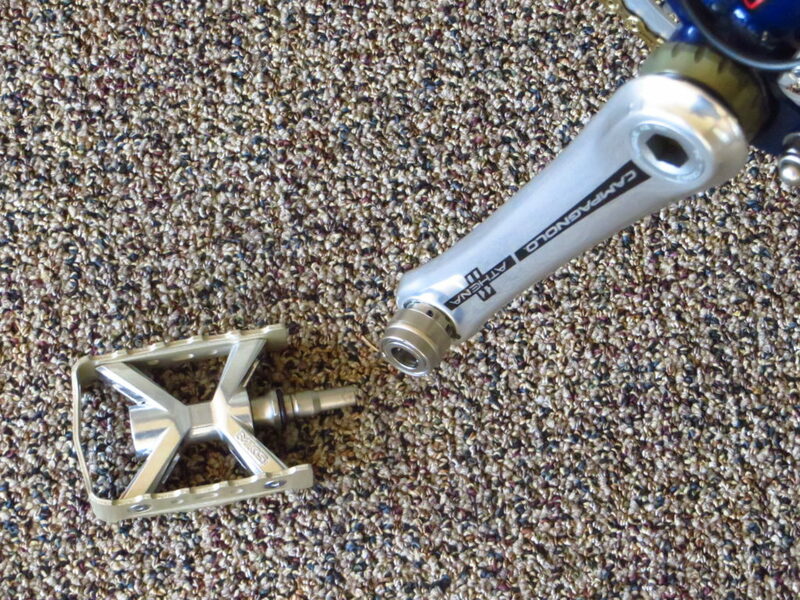 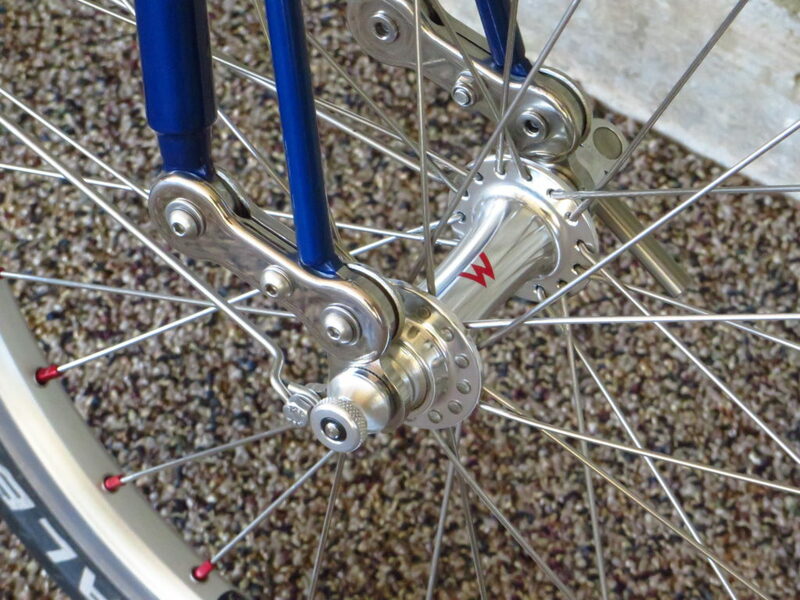 Stainless steel dropouts. 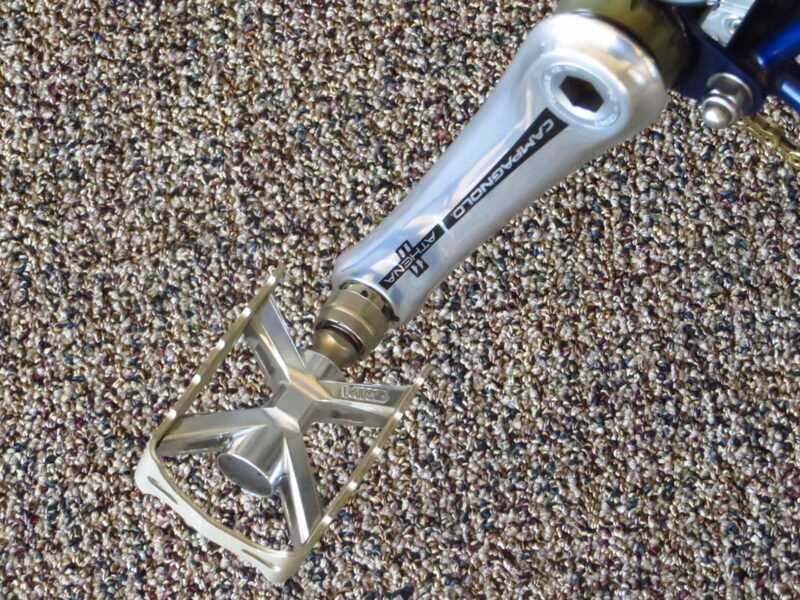 Silver soldered by hand. 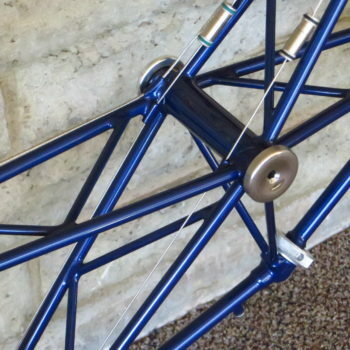 Finish: Painted; color is New Blue. 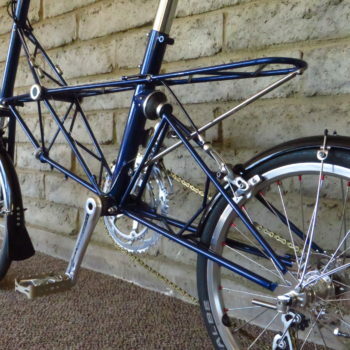 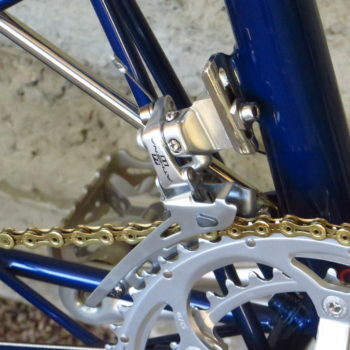 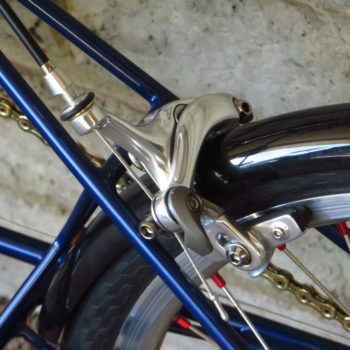 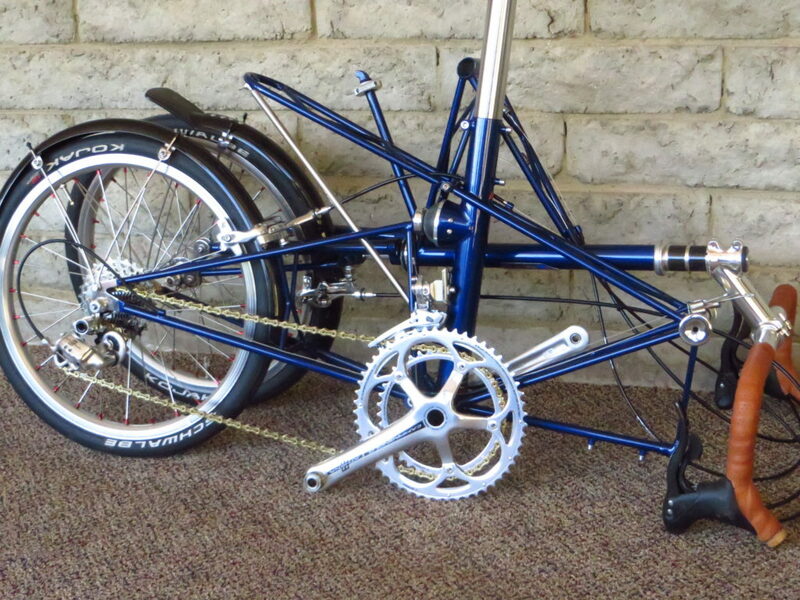 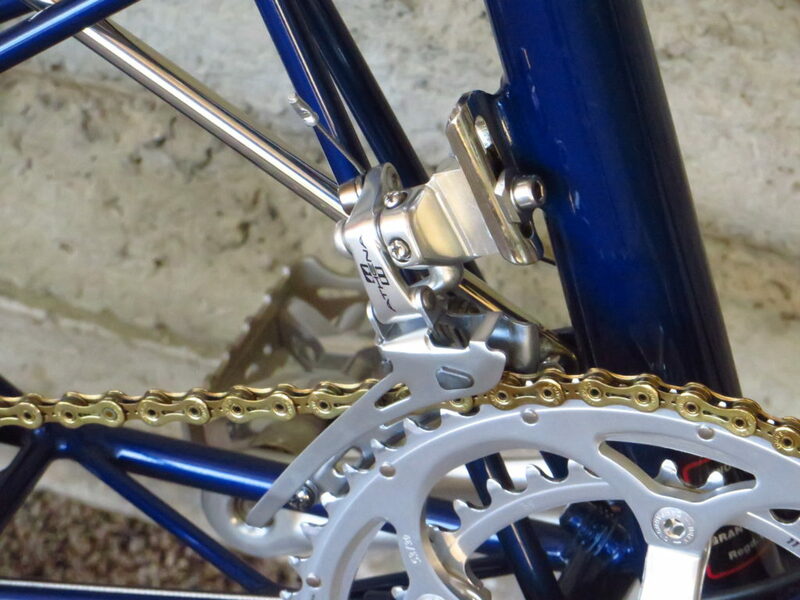 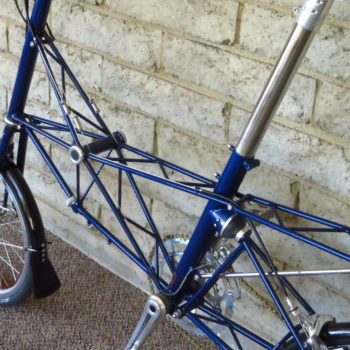 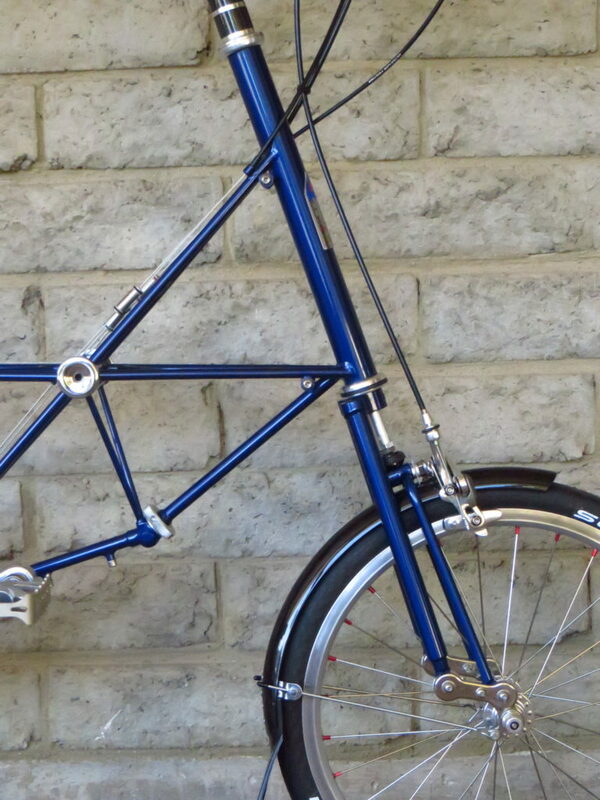 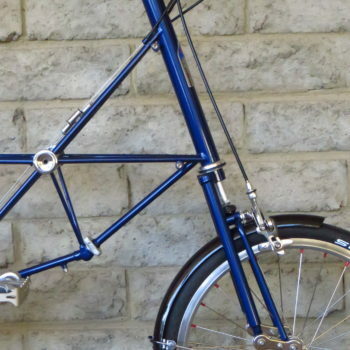 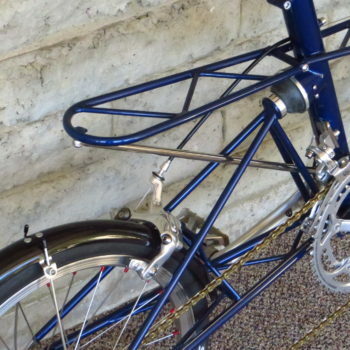 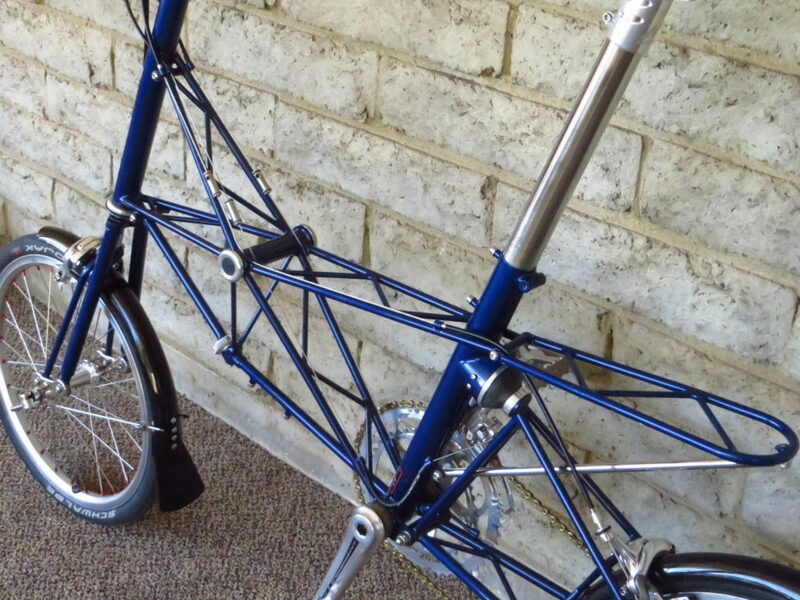 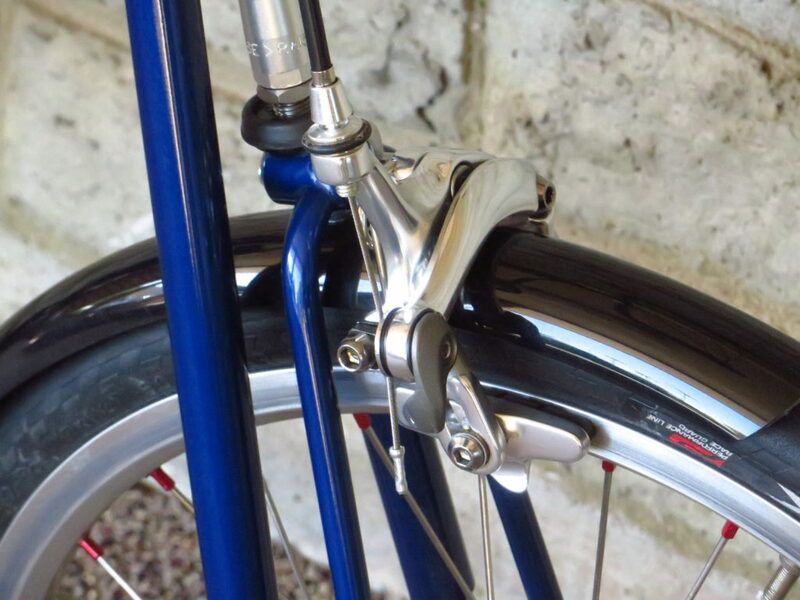 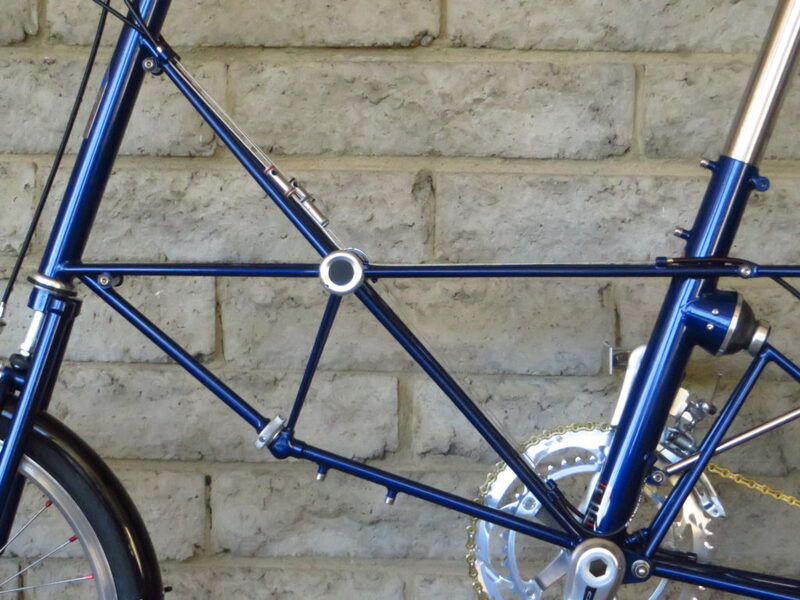 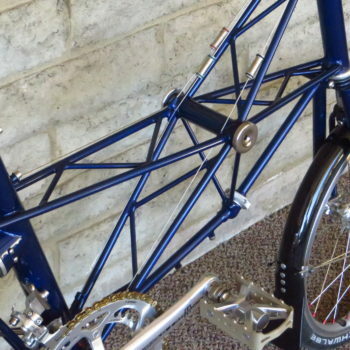 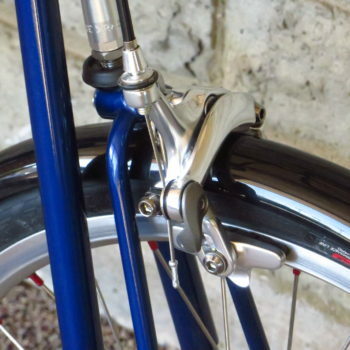 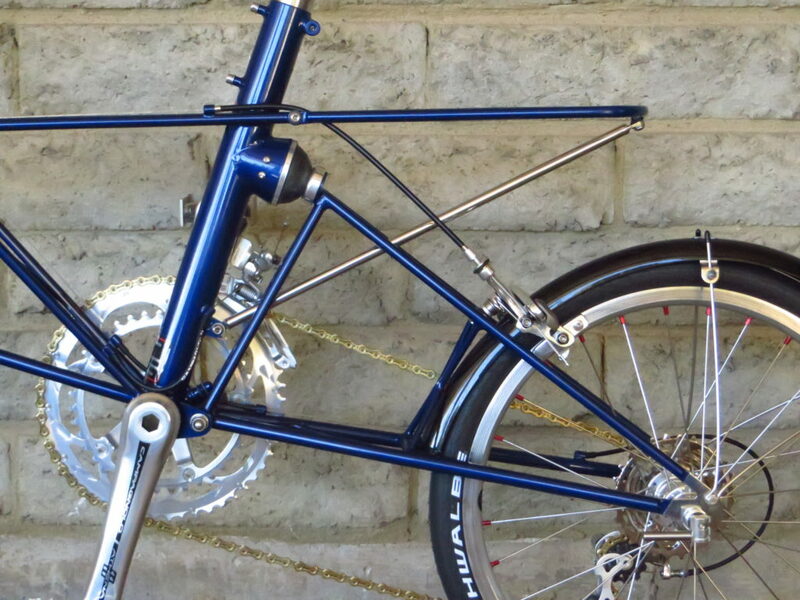 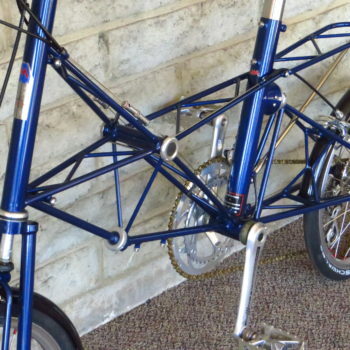 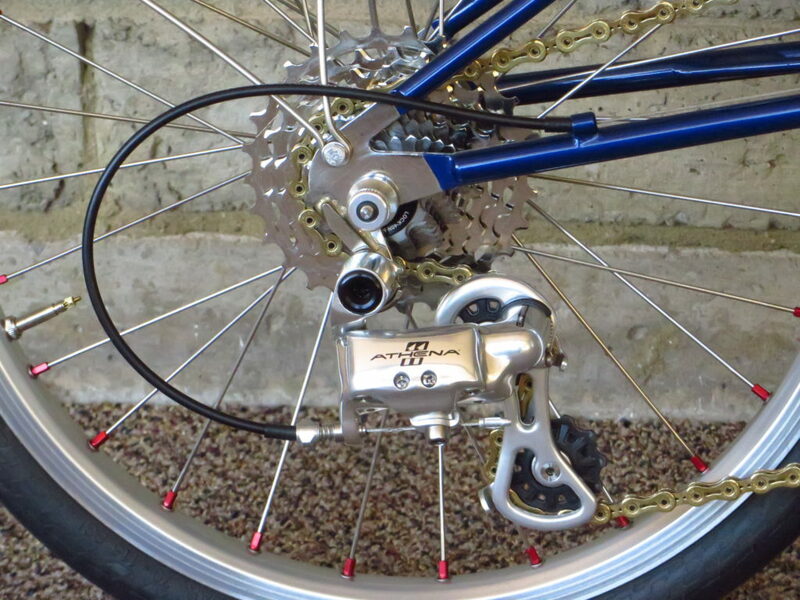 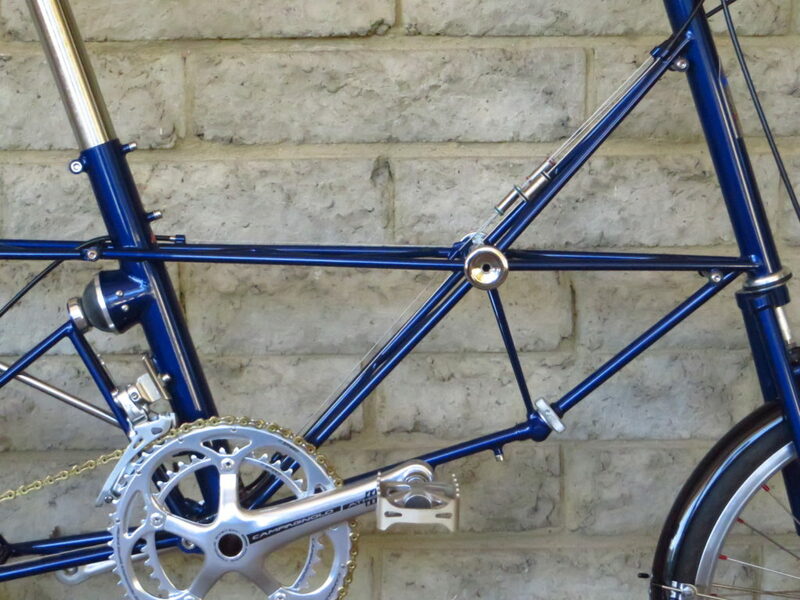 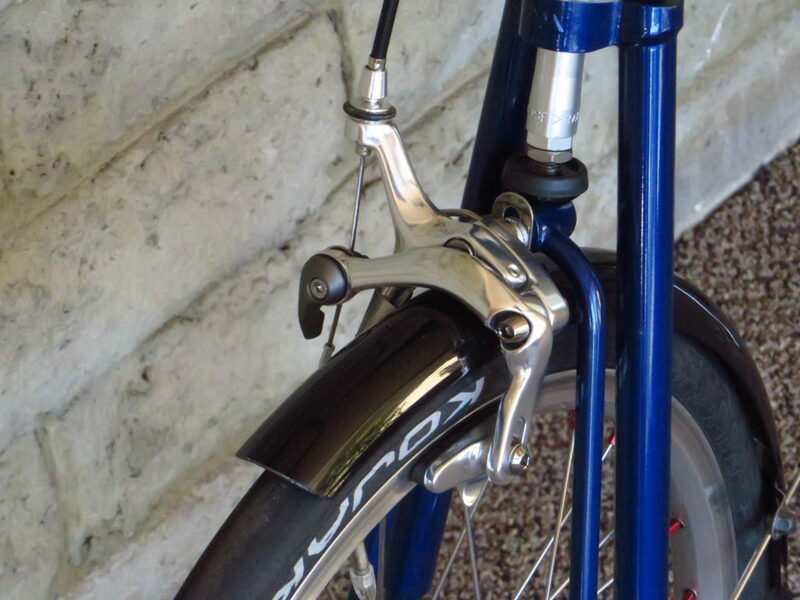 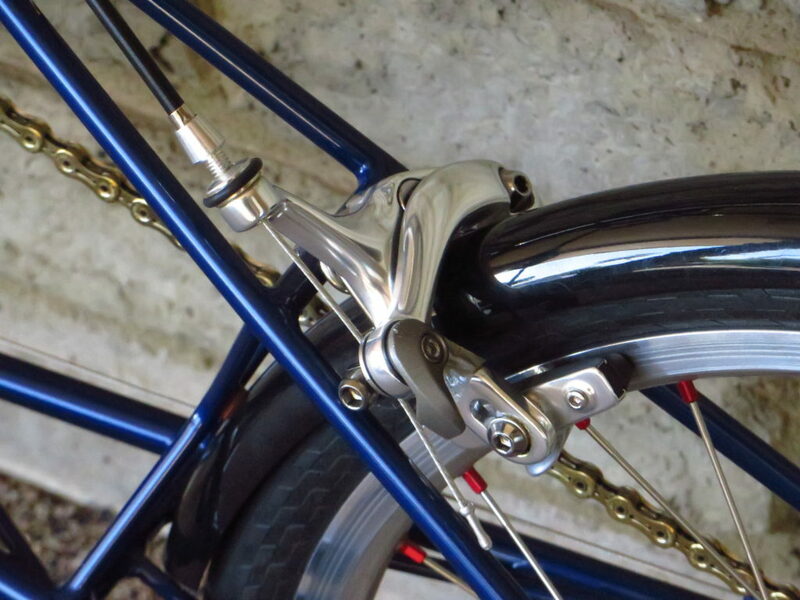 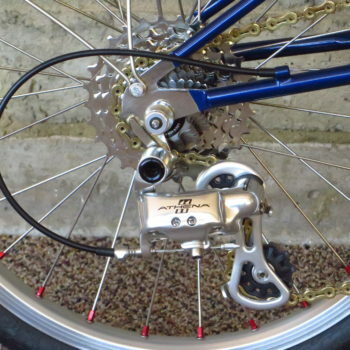 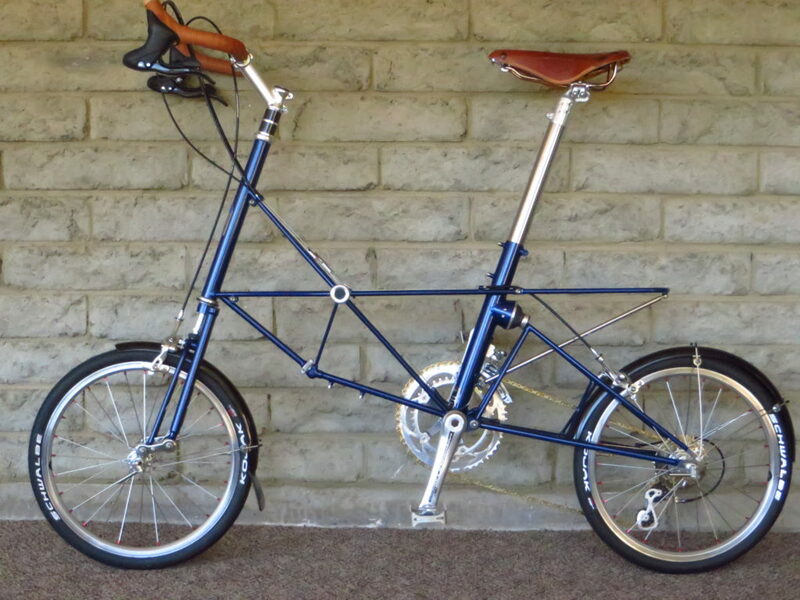 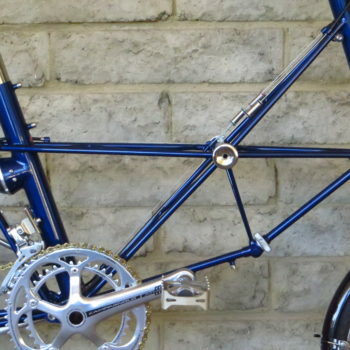 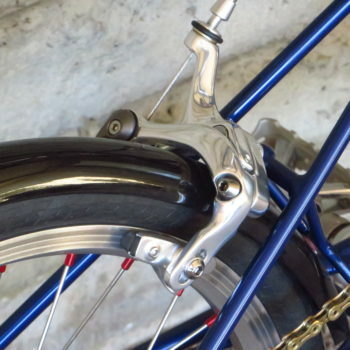 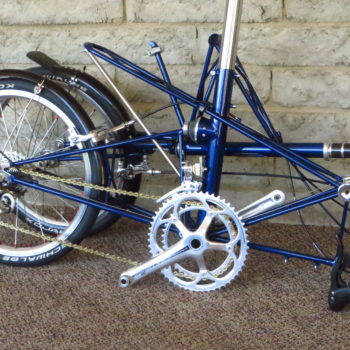 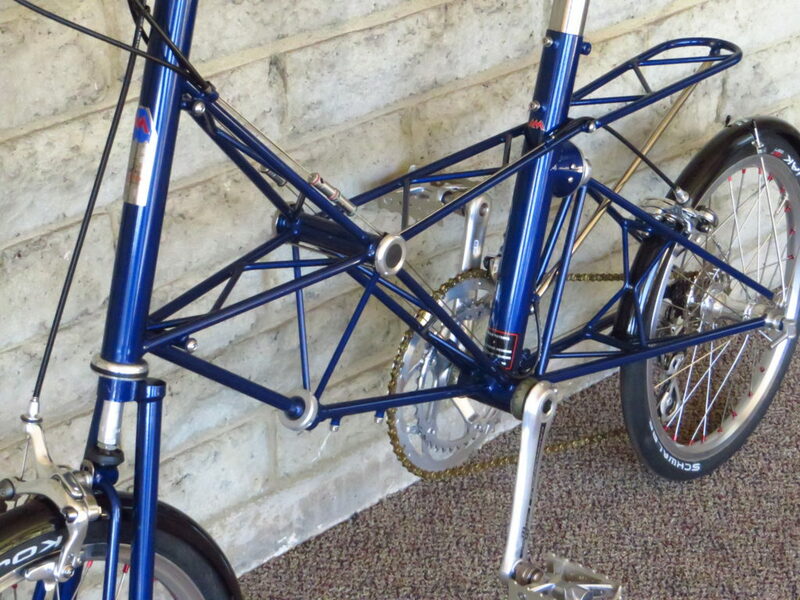 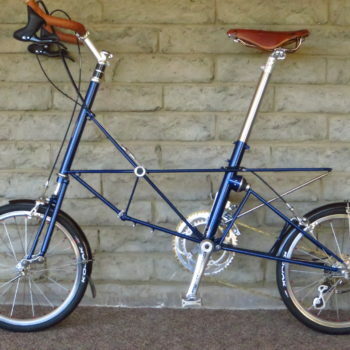 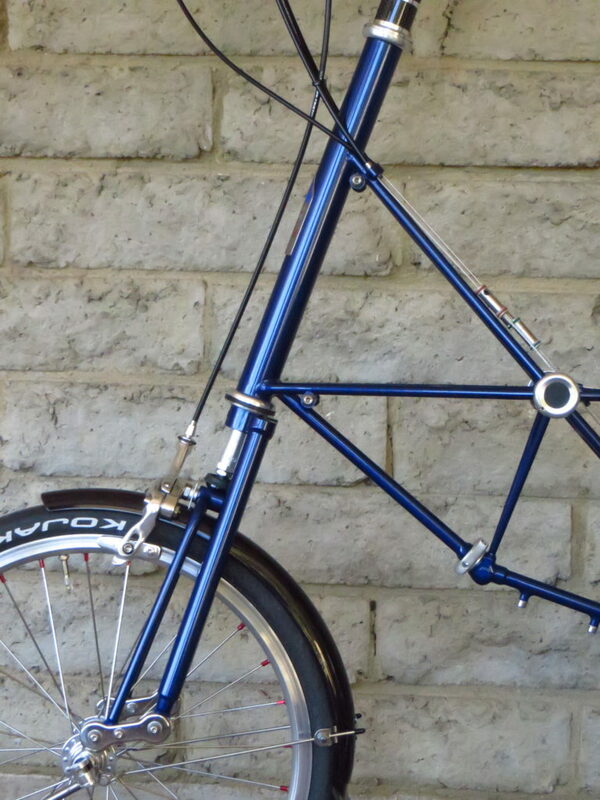 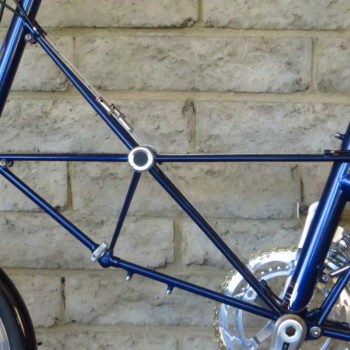 Front Suspension: Moulton Leading Link front fork with floating stirrup. 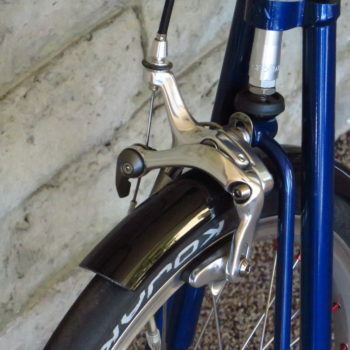 Adjustable damping and ride height. 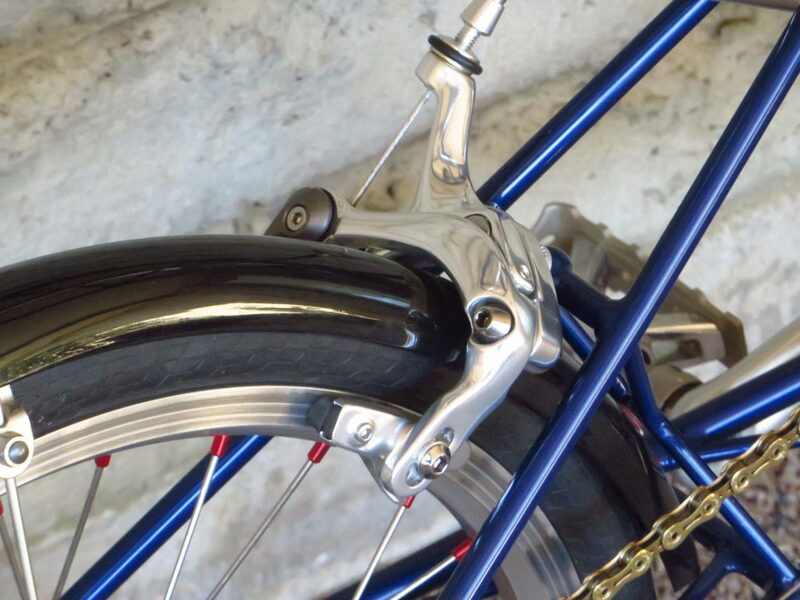 Rear Suspension: Moulton rubber monosphere (dry cone) spring, self-damping. 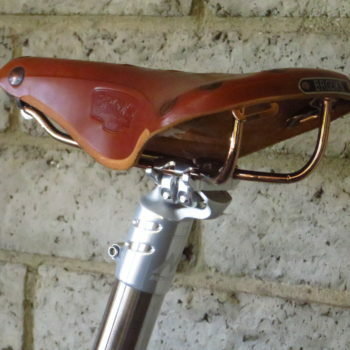 Bronze pivot bushes & stainless steel journal. 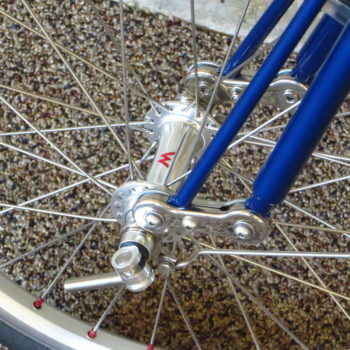 Wheels: 17″ (ETRTO 369mm). 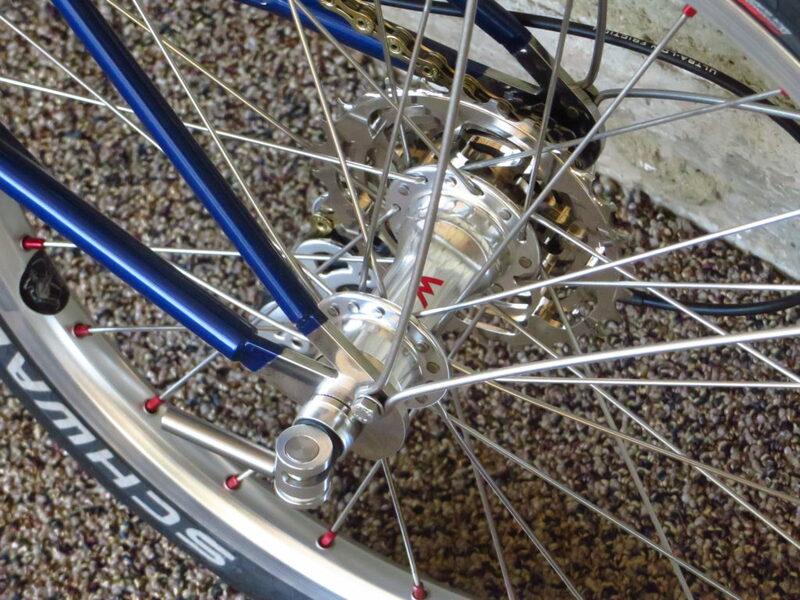 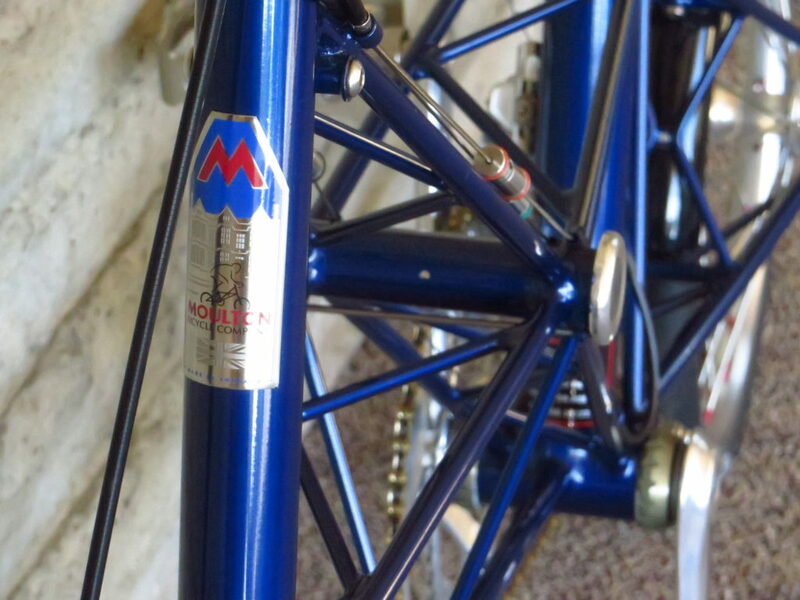 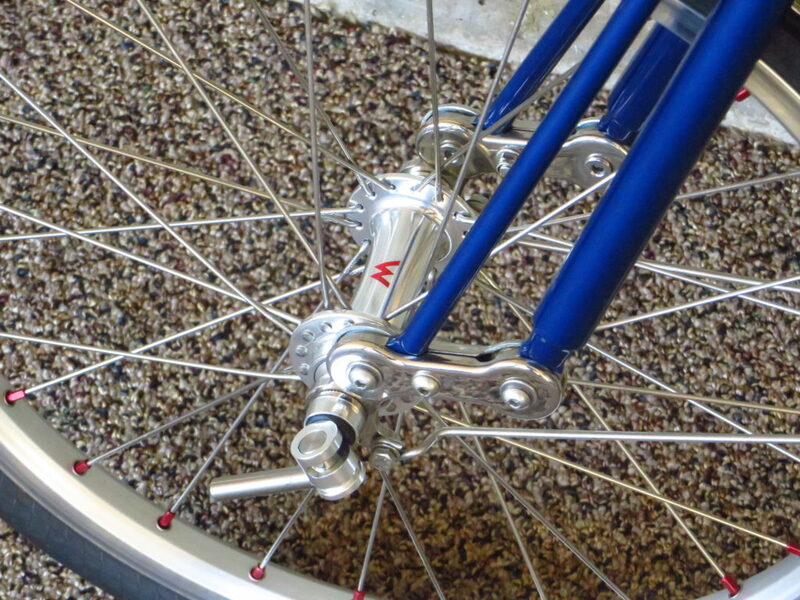 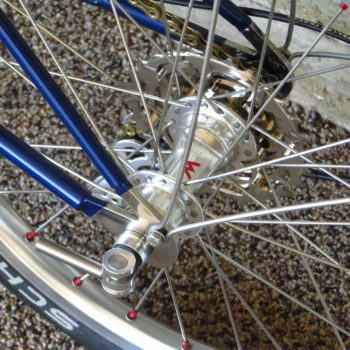 Moulton double-wall alloy rims, stainless spokes, Moulton special hubs with mudguards. 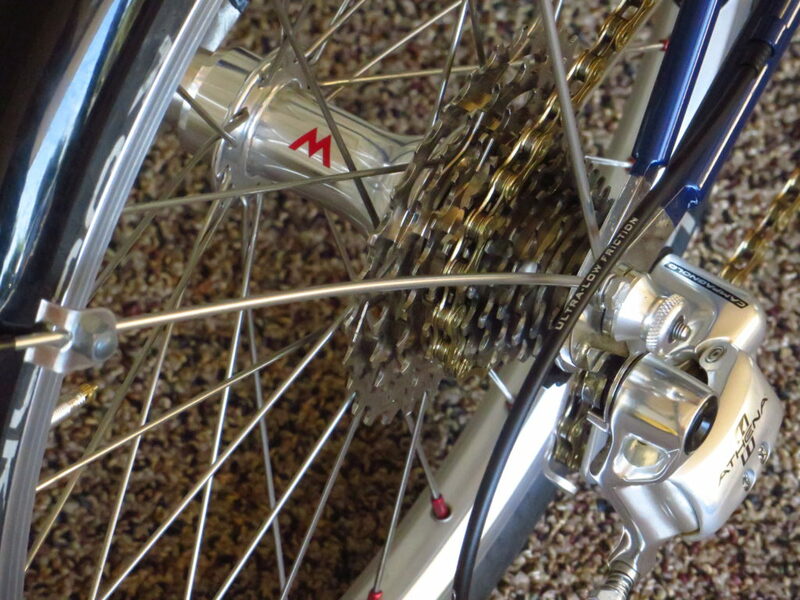 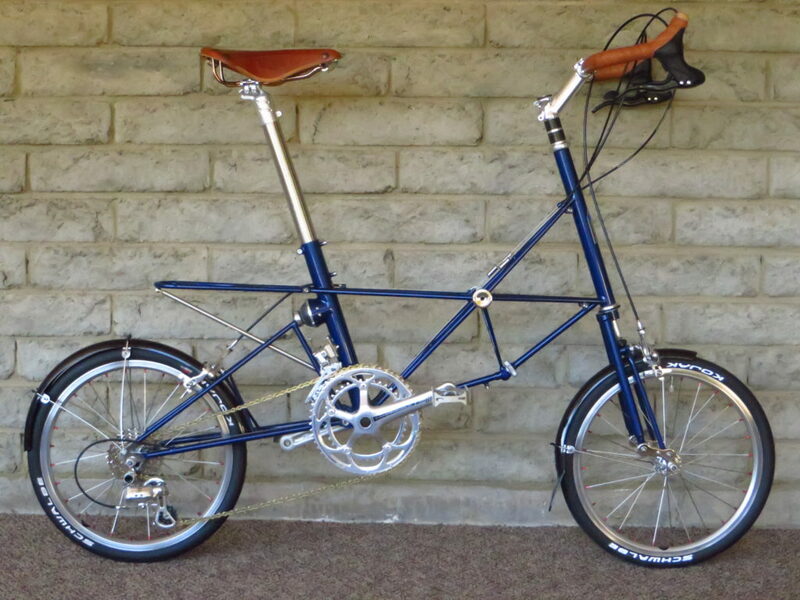 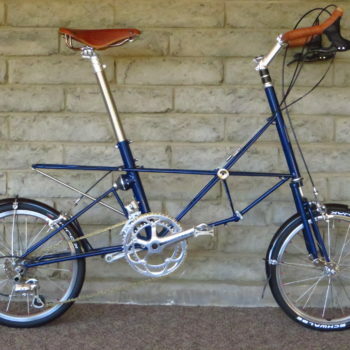 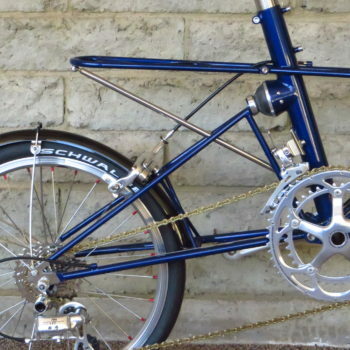 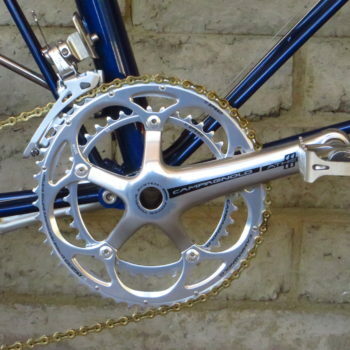 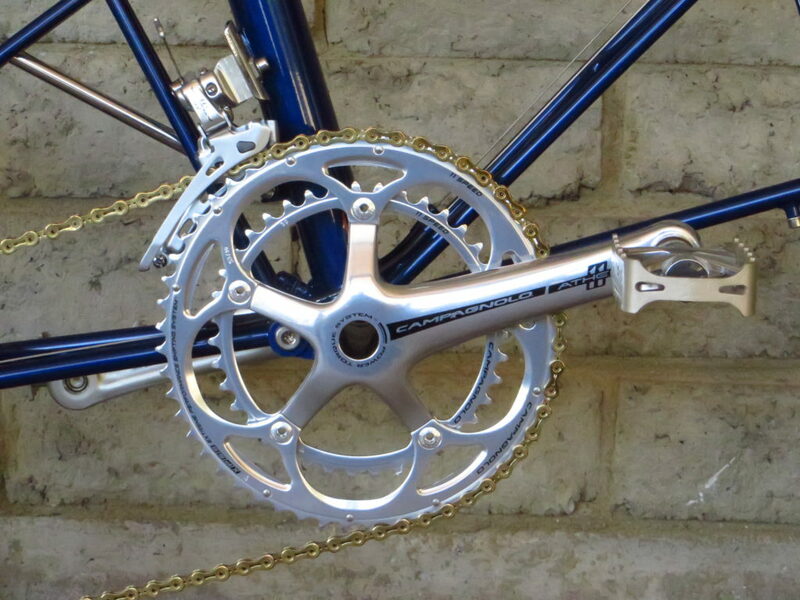 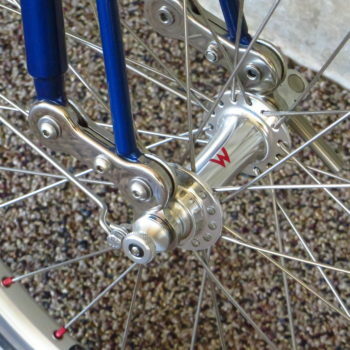 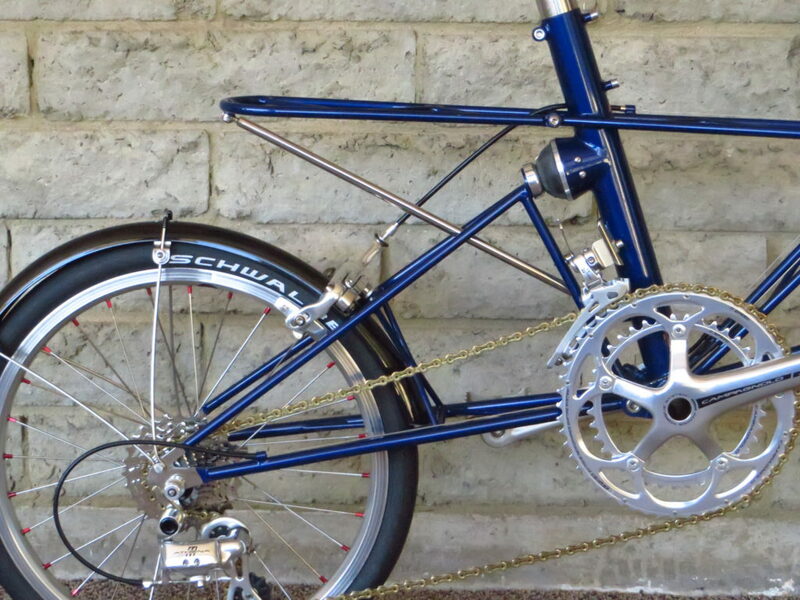 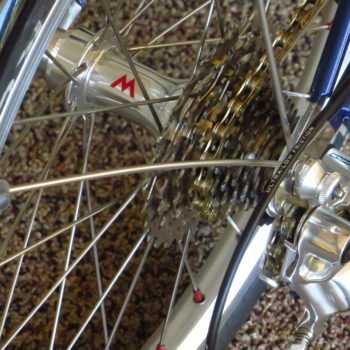 Transmission: Campagnolo Athena 2×11 with Moulton rear cassette 10-28. 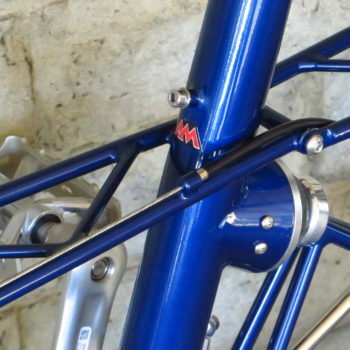 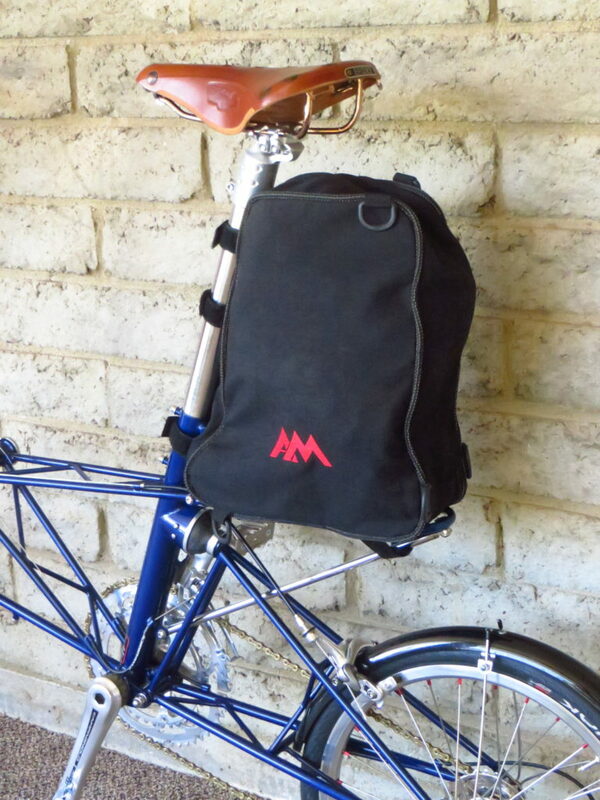 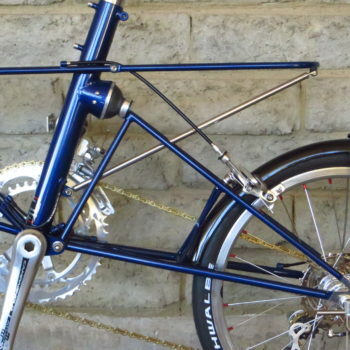 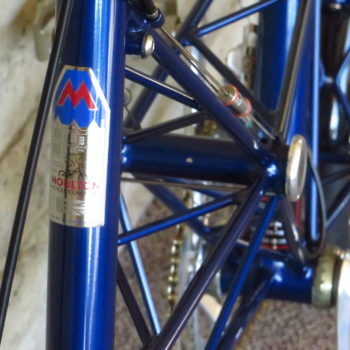 Handlebars: Moulton Mosquito, Stem Alloy raised threadless 110mm. 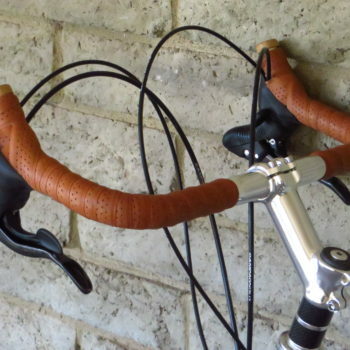 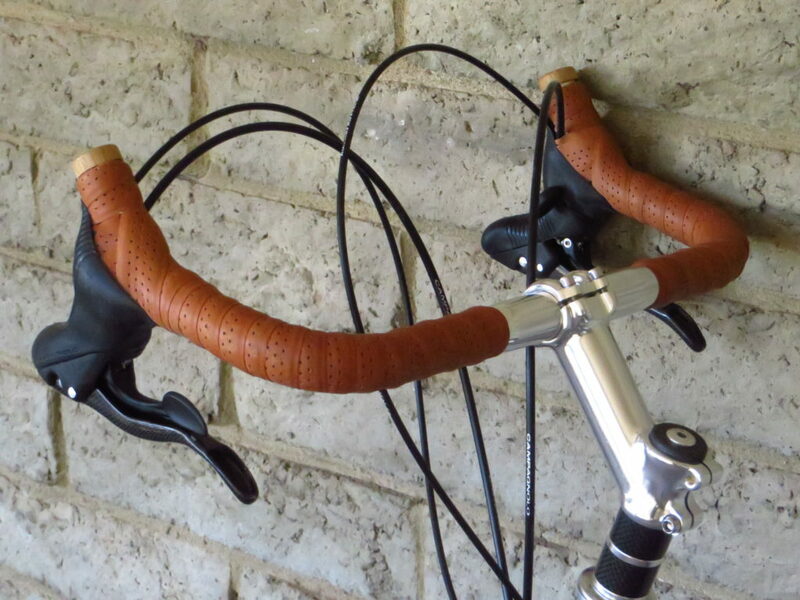 Wrapped with Brooks Leather Handlebar tape Honey. 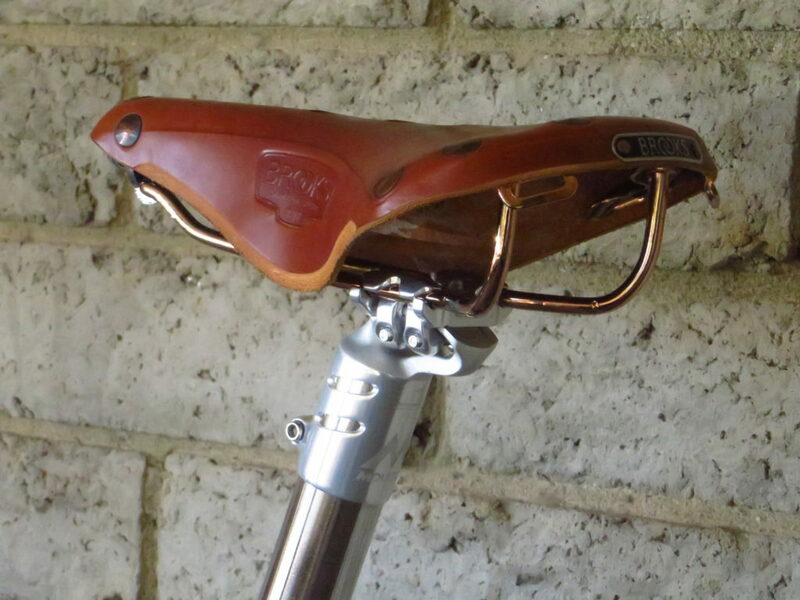 Saddle: Brooks B17 Special Honey. 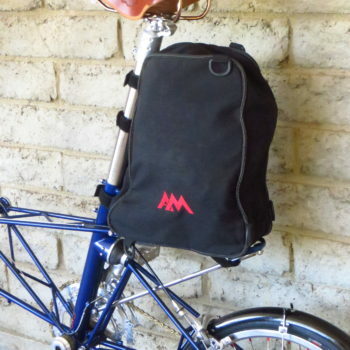 Comes complete with: matching Day Rack and Weekend Bag as pictured. 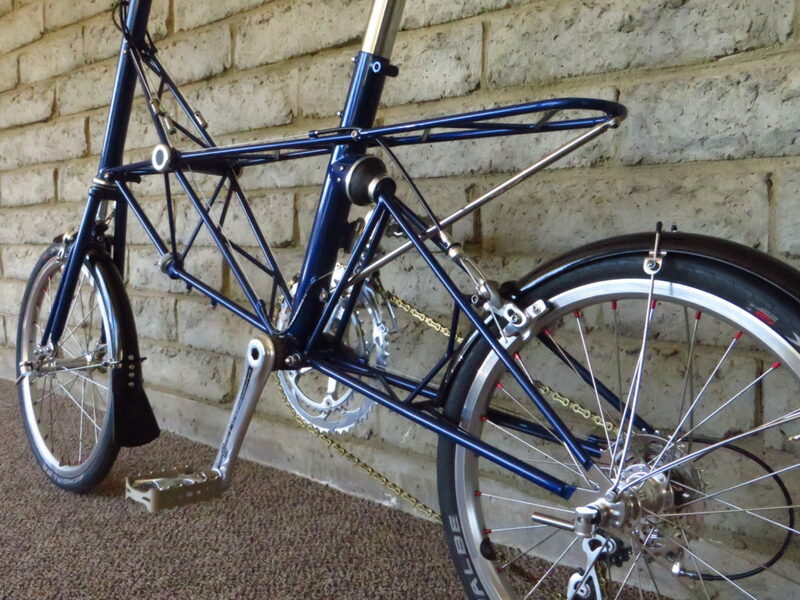 Pedals are quick-release Esprit EZY Superior.